Sebastião Lazaroni is one of Brazil’s most experienced soccer coaches and was named the South American Coach of the Year in 1989. Los Angeles, United States - April 3, 2019 /MarketersMedia/ — Jordan Older has agreed to represent former Brazilian World Cup head coach Sebastião Lazaroni as his agent. Sebastião Lazaroni is one of Brazil’s most experienced soccer coaches and was named the South American Coach of the Year in 1989 when he led Brazil to it’s first Copa America victory in 39 years and was the head coach for Brazil at the 1990 World Cup in Italy where he lead Brazil to the Round of 16 losing to Maradona’s Argentina in a memorable match. In 2009 Sebastião Lazaroni was awarded the Qatar Coach of the Year award as the best coach in Qatar. Sebastião Lazaroni has won 8 major cups and trophies and has coached 21 top tier professional clubs and national teams in Brazil and various countries around the world. Sebastião Lazaroni has won the Chinese Super Cup, Japanese League Cup, Saudi Crown Prince Cup, Qatari Stars Cup, and the Qatar Cup, as well as 2 Rio de Janeiro league championships, with Flamengo and Vasco da Gama, in his home country of Brazil. Carlito Macêdo is Lazaroni’s longtime assistant and an award winning physical trainer. Carlito Macêdo won the Best Physical Trainer award in Brazil in 1995 and has trained some of the top players in the world including Neymar, Diego, and Robinho at clubs such as Santos FC and Flamengo as well as helping Lazaroni win many cups and trophies around the world. Jordan Older is one of USA’s most experience international soccer players and is the only American soccer player to join teams from the 4 continents of Europe, South America, Africa, and North America. In 1994 Jordan Older became the first American to join a team in Brazil’s oldest top tier professional soccer league, the Campeonato Paulista, with União São João EC. In 1994 Jordan Older was a teammate of Neymar Sr. at Paulista FC in Brazil. As a player, in 1994 Jordan Older was invited to and participated in the full US National Team training camp by US World Cup head coach Bora Milutinovic in Mission Viejo, California. In 2012 Jordan Older founded King Sports Management to help local players in the United States achieve their dreams of playing professional soccer in Europe. 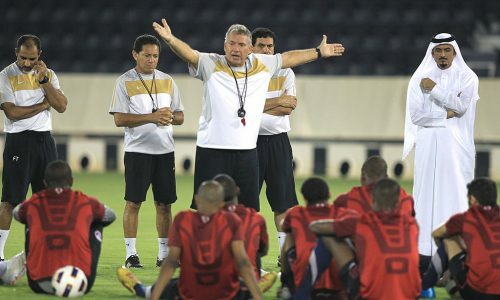 Sebastião Lazaroni last coached the Qatar National Team and Qatar SC in 2014 and 2016 and is interested in bringing his style of Brazilian football to the United States and would not turn down offers from Asian and European clubs. Jordan Older has already been in contact with Orlando City SC in Major League Soccer (MLS) who’s owner, CEO, and general manager are all Brazilian.